Wanting to participate in the Davis Mural Team’s expanding art in public places manifesto, the business owner contacted John Natsoulas for ideas and support. 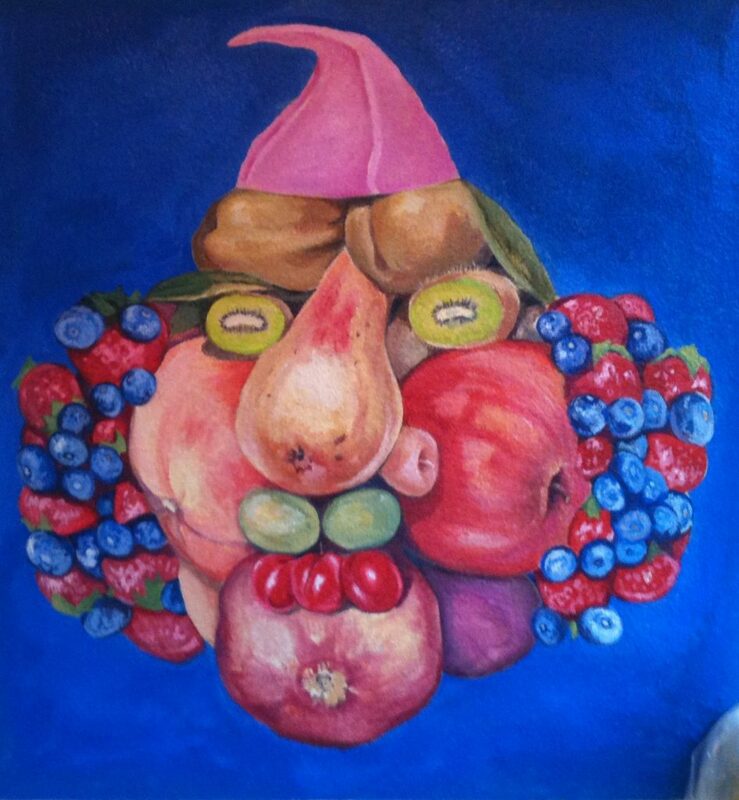 John Natsoulas’s decision to design a large image of fruit as portraiture via the style of Giuseppe Arcimboldo was an instant hit with the owner and the public. With the assistance and technical expertise of Kerry Rowland-Avrech, the small but boldly colorful and surreal mural greets every visitor at the entranceway.